I am excited to participate in the monthly Silhouette Challenge for the first time. I just joined the group two weeks ago and everyone has been very friendly and have provided me with many ideas on what I can spend my money on. For those that don’t know me, my name is Kelly and I am scrapaholic and craftaholic. I have two young kids and share my love of scrapbooking, crafting and memory keeping on this blog. The February theme for the Silhouette Challenge is fabric. That immediately made me think of a shirt that I have wanted to make for several months. In September, my husband Steve and I attended a Maroon 5 concert. I am a HUGE Maroon 5 and Adam Levine fan. I think I could sit and listen to Adam Levine sing all day… When we arrived at the concert, I decided to get a concert shirt. Steve is a wee bit jealous sometimes and he asked me not to get a shirt with Adam Levine on it! The only shirt I liked from the other choices had the title of the band’s latest radio hit Love Somebody. The shirt was only available in small and medium and I am not not small or medium sized. I was really disappointed about the shirt and I told Steve that I would make my own. A week later, I purchased a roll of Cricut Glitter Iron-on (affiliate link) to use for my shirt. The product comes in a 12 inch x 19 inch roll. The Glitter Iron-on (afffiliate link) consists of two different layers. The first layer is a shiny liner that helps to hold the design in place while the material is ironed on. The other layer is the glitter material that will be adhered to the shirt. The glitter material’s glittery side is adhered to the shiny liner. The backside of the glitter material is dull. When the glitter iron-on is put on the Silhouette cutting mat, the shiny side is down. If cut properly, the Silhouette blade will cut through the glitter material but not the shiny liner. I intended to use my Cricut Expression with the Cricut Glitter Iron-On to make my shirt. In October, I attended Spraguefest in Atlanta and won a Silhouette Portrait! When I saw this month’s challenge I decided to try using the Cricut Glitter Iron-on with my Portrait. The first step was to create my design in Silhouette Studio. I don’t have a photo of the shirt from the concert but this design looks nothing like the concert shirt design. The design uses the Lobster and Arial fonts. Because of how the glitter iron-on is cut and used, the final design had to be flipped horizontally so it could be a reflection of the original design. Here’s a video tutorial on how I easily manipulated text to create my “Love Somebody” design. Remember to place the shiny layer down on the Silhouette mat for cutting. There are no cut settings in the Silhouette for the Cricut Glitter Iron On because it isn’t a Silhouette product. I using different settings to make small test cuts in negative space of the design. I finally settled on the flocked heat transfer settings in Silhouette Studio for the cut. After cutting, the cut needs to be weeded. Weeding is just removing all the glitter material from the negative space that isn’t needed in the final design. It is hard to see but the shiny layer is completely intact (it is a tad darker there) as a rectangle in the final weeded image on the right. If the shirt you are using is new, make sure you wash and dry it first. While I weeded, I plugged in my iron for it to heat up. Next I ironed my shirt and then removed the shiny layer from the cutting mat. I placed the design where I wanted it on my shirt. You can see the outline of the shiny layer of the iron-on. It is adhesive so it sticks to the shirt. I was supposed to use a thin cloth to put between the iron and the design. I used a pillow case. After I ironed per the package instructions, I waited for the shiny layer to cool down and then carefully peeled it off. This is how the final design looked on the shirt. Gotta love the bling! I am happy that I crossed something off my crafty to-do list and have a shirt to remember the awesome concert we went to last year! My Silhouette Challenge friends and I are all sharing projects on our blogs today, so peruse the projects below for a wealth of Silhouette inspiration! DIY Sock Minion by Create it. Go! Disclosure: There are affiliate links in this post. I only recommend products that I love! Thank you so much Kelly for the wonderful information! You can iron it right back on. I always wash my shirts wit vinyl inside out as well. OMG! Thank you so much for posting! I too have a silhouette and was using cricut…I had it on my mat and was about to cut my monogram and I found your page to help me select my blade height…then I realized I was about to cut the wrong side! I had read the directions on the cricut HTV but it read very confusing and I placed it with the wrong side down. Thank you so much for saving me time & money! P.S. this is only my second project and it came out PERFECTLY! Congratulations on your PERFECT project Andrea! I’m so happy to know that my post helped you! This blog post was exactly the information I needed! A last minute project was saved with your step by step instructions. And it came out beautifully! Thanks! Christmas eve and trying to get my last project finished. Tried using the silhouette brand iron on like it says no mat it jammed up.Using cricut brand with mat my design is longer than the mat, got a longer cricut mat. im using the regular heat transfer material from cricut no glitter or anything its cutting all the way through. any tips? The settings really depend on the material your cut and the sharpness of your blade etc so what works for me might not work for you. Chris – Are you using heat transfer vinyl? I have never tried to cut heat transfer vinyl without a mat. If you are using heat transfer vinyl I would try the regular heat transfer vinyl setting. The flocked setting is just for the glitter htv. Good luck. Make sure you have also checked the mat or no mat selected correctly in your cut settings. Great tutorial! What number did you put the blade on for the cut? Thank you Daisy. I used the default settings that Silhouette has for the flocked heat transfer settings speed: 5 thickness: 33 blade: 3. How pretty! I’ve got to try out some of that glitter iron-on paper! You should definitely try it Jessica. It looks gorgeous in real life. The photo doesn’t do it justice! Beautiful shirt! Nice tutorial for those of us who haven’t tried glitter vinyl yet. Thank you Glenna! I love seeing what everyone else did for the challenge. I pinned a lot of the projects so I could try them myself. The T Shirt looks Awesome. The red glitter against the white looks stunning. Thank you Pam! I was originally going to use that glitter on a pink shirt but when I held then close together I realized it needed white for higher contrast. 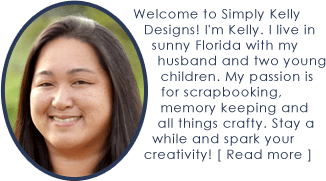 Kelly… Love this project and the link up! I’m getting inspired through you! 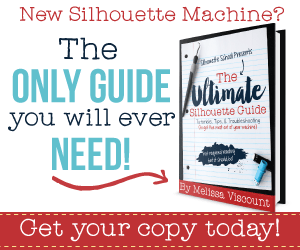 Can’t wait to see more fun projects from you & your new Silhouette!! Thank you Wendi! When you get a Silhouette you will have to join the FB group. Those ladies keep me inspired and are really good at enabling me to spend my money! LOL! Lovin’ the glitter! What a great project. Looks easy enough for even me. WIsh me luck! I know you can do it Tanya. It was super easy. I think the hardest part was figuring out what settings I need to cut on the Silhouette! I bet….because your instructions were so detailed, it makes me want to give it a try. Thank you Dee! I am happy I finally have my concert shirt. Thank you! This project was so easy and the possibilities are ENDLESS! Next month’s challenge is paper. You should definitely join us for that one!